Pamplin Media Group - Limit campaign bucks? Let 16-year-olds vote? But first, they have to pass through the Legislature. The pathway for campaign finance reform looked relatively smooth until it hit a bump Wednesday, March 27. The Senate Campaign Finance Committee approved one proposal that would ask voters whether they want to limit campaign contributions in Oregon's state and local elections. It did so without the support of the committee's two Republican senators — including the legislation's co-sponsor, Sen. Tim Knopp of Bend. Because of an Oregon Supreme Court decision in 1997, Oregon is one of a handful of states that does not limit campaign contributions. The Supreme Court ruled that Oregon's constitutional right to free speech protects campaign donations and spending, effectively allowing a donor to plough an unlimited amount of money into a political campaign committee. Additionally, so-called dark money groups, like Priority Oregon, can spend freely without having to disclose their contributors. Senate Joint Resolution 18 is one of several campaign finance-related proposals in the Legislature this year, but it's the most fundamental. It proposes amending the constitution to explicitly allow the Legislature, cities and counties, and initiative petitions to limit campaign contributions. It would also allow them to require that campaigns and advertisements name their donors. The cost of a political campaign in Oregon has skyrocketed over the past decade. Last year's gubernatorial race saw more than $40 million raised and spent between the two major party nominees, Democrat Kate Brown and Republican Knute Buehler. That's well over twice as much as John Kitzhaber and Chris Dudley spent when in 2010. Lawmakers like Knopp, co-sponsor Sen. Mark Hass, D-Beaverton, and Sen. Jeff Golden, D-Ashland, the Senate committee chair, want to rein in campaign spending. So does Brown, who pledged last year to reform Oregon's campaign finance system. "The overall objective is to move to people-powered politics," Golden said. The committee unanimously agreed to amend Knopp and Hass' resolution to more closely resemble a similar House proposal. 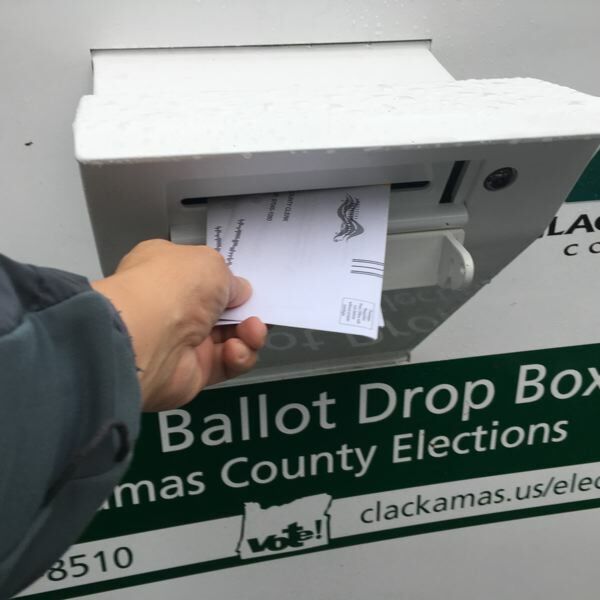 Local campaign finance limits that voters in Multnomah County and Portland have approved are grandfathered in, so they would become legally enforceable if the constitution is amended. Knopp also offered an amendment applying campaign contribution limits evenly to all classes of donors. If the state or local government were to cap donations, the maximum amount would be the same for a corporation, a union, a nonprofit, a political committee or an individual. Democrats on the committee rejected Knopp's amendment. As it became clear that the Republican amendment wouldn't pass, Sen. Fred Girod, R-Stayton, grew frustrated. "This is the very example of what I fear the most: the majority party doing they want, without incorporating what the minority party wants into a bill, and cramming it down our throats," Girod said. "I want election reform like anybody else. But I want it done fairly, and I don't think that the majority party is interested in that." While Knopp supports campaign finance reform, he wants to maintain a "balance" in the playing field. "If we pass it as is, I think you will see different groups from the left and the right try to go to the ballot," Knopp said. "I can easily see a group going to the ballot to try to eliminate the ability for unions to contribute, and I can easily see a group going to the ballot to not allow corporations, or some iterations of corporations, to … be able to donate." 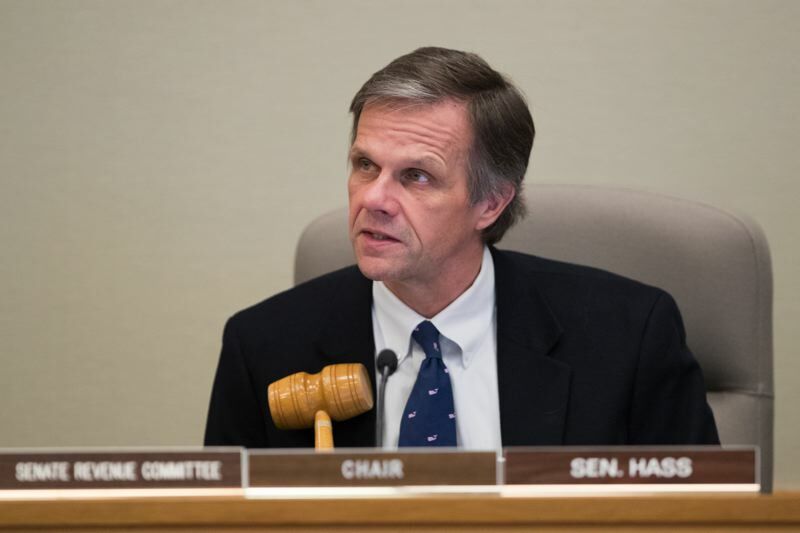 Hass, who doesn't sit on the Senate Campaign Finance Committee, said he understands Knopp's concerns and would like reform that both Democrats and Republicans can support. "My biggest accomplishments since I've been a legislator have been accomplished on overwhelming votes," Hass said. "And that doesn't happen by accident. You have to spend some time working on these issues." 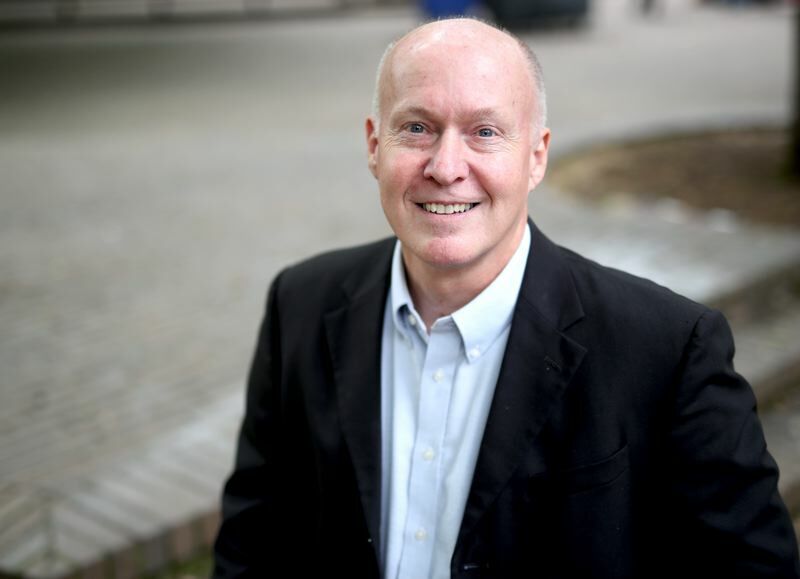 Patrick Starnes, a campaign finance reform advocate and former Independent Party gubernatorial candidate, is hoping for "tri-partisan" support to limit donations. He said when he campaigned across the state last year, he met people all over who want rails on campaign finance in Oregon. "Republicans, Democrats, Independents all seemed ready," Starnes said. "People are ready." Starnes said he was disappointed that Wednesday's committee vote broke along party lines. He added, "My priority is that we have some sort of limits. So whichever party steps up to pass those, I'm in favor of getting something passed." Meanwhile, a proposal to lower Oregon's voting age to 16 got a boost March 27 when Gov. Kate Brown declared her support. "I think it makes sense to have 16-year-olds vote in this state," Brown said at a bill-signing ceremony attended by youth voting advocates. "I look forward to that conversation in the building, and hopefully we get to have that conversation with Oregonians across the state." Oregon would be the first state to lower the voting age to 16. But the state hasn't always been friendly to the idea of allowing teens to vote. When Congress reduced the voting age from 21 to 18 in 1970, Oregon successfully sued the federal government to keep 18- to 20-year-olds from voting in state and local elections. The 26th Amendment to the U.S. Constitution was ratified the following year, giving all citizens age 18 and older the right to vote. Written testimony on Senate Joint Resolution 22, the proposed constitutional amendment to allow 16- and 17-year-olds to vote, has been sharply opposed, including form letters and some submissions from out-of-state. But with Bus Project supporters and others in Salem to testify Wednesday, the feedback on the proposal at the committee hearing was overwhelmingly positive. At the committee hearing, Victoria Clark, a 17-year-old senior at Reynolds High School, argued that the perspective of people her age belongs in politics. "Students have always been the leading front for activism. We are encouraged to engage in politics, yet when it comes to letting us partake in one of our most important rights, voting, we are cut short," Clark said. Elinor Sterner, a 16-year-old student at Cleveland High School, said high school students are enthusiastic and "very qualified to vote." Classmate Blu Smith, 15, agreed. "At 16, people in America, they can drive, they can work, they can even pay taxes, but they still cannot vote," Smith said. "Our voices should be heard in conversations about our future. I should have a say in decisions affecting my life." vote?" asked Marian Paul of Portland. "They do too many other things to think about any issues in an election. You just want to do this so that Donald Trump is not re-elected in 2020." Many of the letters suggested that 16-year-olds lack the maturity to vote responsibly. Some suggested that adults, including teachers, could manipulate them. "16-year-olds are still children," wrote Dufur resident Larry Clark. Both constitutional amendments are now in the hands of the Senate Rules Committee. The committee has a reputation in the Capitol — many bills sent to Rules never emerge, and some undergo drastic changes before they do. But the committee is often also the final proving ground for legislation before it moves to the full Senate for a vote, and once a bill has the Rules Committee's stamp of approval, it may have a relatively quick path to the governor's desk. 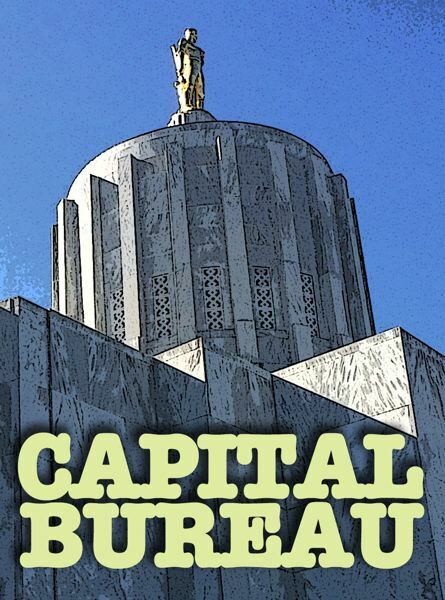 Campaign finance reform is considered likely to move forward, according to the office of Sen. Ginny Burdick, D-Portland, who both sits on the Senate Campaign Finance Committee and chairs the Senate Rules Committee. Lowering the voting age isn't as high a priority, but it is still believed to have even chances to proceed. Voters will have the final word on both proposals if they pass the Legislature. The state constitution cannot be amended without voter approval. The governor also is championing another bill this year that would remove the postage requirement from ballot return envelopes. Senate Bill 861 has already cleared the Senate Rules Committee with bipartisan support. It still needs approval from the Joint Ways and Means Committee, which writes the state budget, before the Senate votes on it.